Convert your regular and scanned PDF files to Word documents for easy editing. 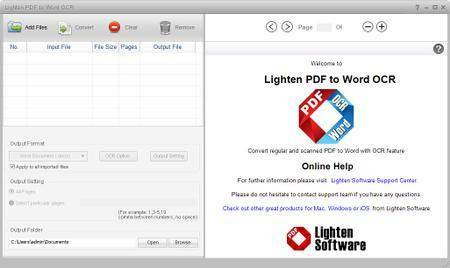 Lighten PDF to Word OCR is PRO version of PDF to Word Converter. Now you can spend less time retyping, easily move the contents from PDF files to editable Word documents, and keep all the oroginal formatting well. Leading OCR function is integrated into this app, scanned PDF can be recognized and converted. No more retyping, no more copy-paste. 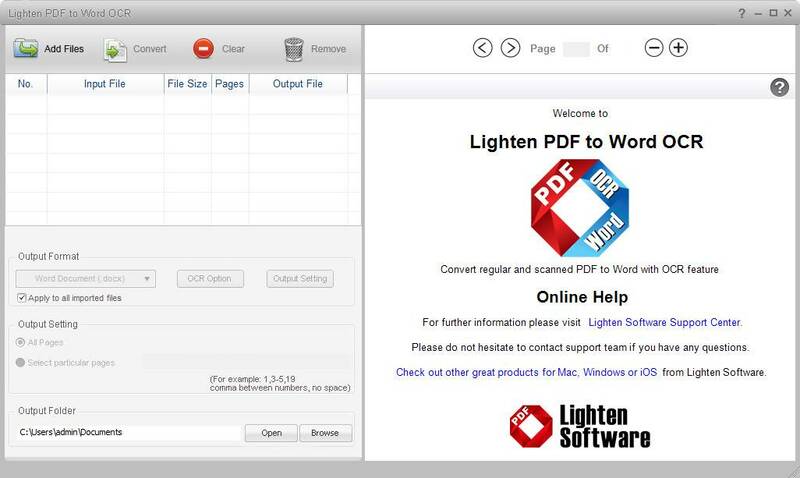 With PDF to Word OCR, now if you want to get the contents from PDF file, or upgade information in a PDF file, converting PDF to editable Word document goes much quicker. You can convert just any selected pages, and process batch conversion at one time. Want to make some changes to a document or copy parts of the contents, but all you have is a scanned copy? No problem, with advanced Optical Character Recognition (OCR) function, text contents in scanned PDF can be accurately recognized and extracted. You'll get the text contents that you can edit in Word document. PDF to Word OCR preserves as much of the original looks and feel as possbile after conversion. No matter your PDF's layout is simple or complex. Text content, tables, graphics and even multi-column layouts can be well retained. 1. Standalone, does not require Microsoft Word and Adobe products installed.